written March 13, 2010 on the GodlikeProduction live chat. A GOES-0 satellite, was displaying an odd daily dip http://poleshift.ning.com/profiles/blogs/noticed-regularity in the x-rays received from the Sun, along with a swell some hours later. Like clockwork! The dips no such explanation. And not related to solar flares at all. At most there was a minor C2.2, no M or X class flares. The GOES system is geostationary, meaning a given satellite hugs the Earth, is fixed over a certain location. What would cause the satellite to be flooded in x-rays, daily, during this time? The Zetas, as always, had an explanation. If this particular GOES satellite is in geostationary orbit such that it experiences an eclipse by Earth at 7:00 UTC, then this point in time is when Greenwich is experiencing a dawn. So the satellite in question is in the dark, over the Pacific or hours behind Greenwich in time zones. Likewise when there seems to be a spike in x-rays around 0:00 UTC, Greenwich is at midnight, behind the Earth on the dark side of the Earth. So the satellite hours behind Greenwich presumably is at the dusk point. If there is a drop in X-ray receipt when GOES-O is in eclipse behind the Earth, why would there be a spike when the satellite is at dusk? The answer to this is in the particle flows roiling around the sides of Planet X. Planet X is slightly to the right of the Sun in the line of view from the northern hemisphere. The Earth is attempting to escape from the hosing of magnetic particles coming from the N Pole of Planet X by pulling to the left, leaning its N Pole away to some extent. Thus, in the pincers that hold the Earth in the eddy flow of particle flows, in the cup as we say, it is closer to the left hand pincer than the right hand pincer. At dusk, the geostationary satellite is pushed into this stronger flow, experiencing a spike. Mystery of 75 Starlings Falling From the Sky [Mar 10] http://news.bbc.co.uk/2/hi/uk_news/england/somerset/8560398.stm The deaths of 75 starlings which appeared to fall from the sky and crash land on to a driveway in Somerset has mystified the RSPCA animal charity. [and from another] Grisly Mystery after Scores of Starlings Fall out of the Sky and Lie Dying in a SINGLE Front Garden [Mar 11] http://www.dailymail.co.uk/news/article-1256840/Mystery-scores-starlings-fall-sky-lay-dying--single-garden.html The sky was raining starlings. They seemed to just fall out of the sky. The only possible explanation we can think of is that something has caused the flock to suddenly change their direction of flight and caused them to hit the ground. Birds are sensitive to methane gas, which when released from the air floats upward as it is lighter than air. Thus, unless humans are around to smell the distinctive scent of methane gas, they would be unware of the release of this gas due to stretched rock beneath their feet. The birds, however, are in the path of this rising cloud, and die or become disabled enough to drop. Canaries were formerly used in coal mines for this reason. If they were singing, there was no methane about, but if they dropped over then the miners had their clue to leave the mine shaft quickly! Growing Low-Oxygen Zones in Oceans Worry Scientists [Mar 7] http://news.yahoo.com/s/mcclatchy/20100307/sc_mcclatchy/3444187 In some spots off Washington state and Oregon, the almost complete absence of oxygen has left piles of Dungeness crab carcasses littering the ocean floor, killed off 25-year-old sea stars, crippled colonies of sea anemones and produced mats of potentially noxious bacteria that thrive in such conditions. Areas of hypoxia, or low oxygen, have long existed in the deep ocean. These areas - in the Pacific, Atlantic and Indian oceans - appear to be spreading, however, covering more square miles, creeping toward the surface and in some places, such as the Pacific Northwest , encroaching on the continental shelf within sight of the coastline. As ocean temperatures rise, the warmer water on the surface acts as a cap, which interferes with the natural circulation that normally allows deeper waters that are already oxygen-depleted to reach the surface. It's on the surface where ocean waters are recharged with oxygen from the air. Commonly, ocean "dead zones" have been linked to agricultural runoff and other pollution coming down major rivers such as the Mississippi or the Columbia . One of the largest of the 400 or so ocean dead zones is in the Gulf of Mexico , near the mouth of the Mississippi . However, scientists now say that some of these areas, including those off the Northwest, apparently are linked to broader changes in ocean oxygen levels. The reason for poorly oxygenated waters is not unknown to humans, who correctly ascribe this to poor circulation between the water at the surface, which is oxygenated, and the deep water which holds nutrients which have drifted there. What they do not understand is the reason for an increase in poor circulation. Until the Earth wobble, and the tide changes it produces, is admitted and taken into account, the real reason for an increase in dead zones will not be understood. Earth Under Attack from Death Star [Mar 12] http://www.thesun.co.uk/sol/homepage/news/2889372/Earth-under-attack-from-Death-Star.html Now NASA boffins believe they will be able to find Nemesis using a new heat-seeking telescope that began scanning the skies in January. [and from another] This is repeating the scene back in the very early 1980's, when it was in the news that NASA/JPL would be going looking for Nemisis, some entity that caused the outer planets to perturb in the direction of Orion. Then the found Planet X, which hit the Washington Post front page on Dec 31, 1983. ../theword/tword26c.htm The term Nemesis was confused with 1. an unlit binary of our Sol or 2. a planet (Planet X) orbiting both suns. Both exist. What is interesting in this current blitz, showing a blazing red orb screaming across the skies in the Sun's article, is that they are trying to pretend that the past 3 decades of cover-up never happened, and put the power of discovery back into NASA's hands. The new WISE probe, just launched and due to map the skies in infrared, will now 'discover' Planet X sitting right next to us in the inner solar system, and NASA will thus not be lynched. That's the plan, I think. Those in the establishment, which includes NASA management, assume the common man to be utter fools, easily lead about by any statement uttered from the mouths of "professionals". Those directing NASA are professional liars, first and foremost. Seeing the losing battle over what is appearing on the SOHO and Stereo images for the past year, they have started a backwater campaign hoping their version of events will catch on and become viral on the Internet. Their WISE probe discovered a rogue planet, visible at a distance only in the infrared spectrum, and now it is approaching Earth! Expect this version of events to emerge just ahead of the time when man can see the Planet X complex in the skies themselves, daily, unassisted by a probe. They will lose in this gambit, as even if someone were to grant them their story, at the very least this means that they were clueless about what was causing earthquakes, magnetosphere changes, volcanic activity, and so many signs in the skies! Why listen to NASA at all, and for heaven's sake, why pay them, if this is the case. However, though the media may feature this version of events, and treat NASA in a respectful manner, the common man has long since lost respect for NASA's pronouncements. This is due to the UFO phenomena, and the many times NASA has been caught in a bold lie. We have stated that NASA will be the first to be blamed when it becomes obvious that the common man has been lied to, and they can't escape this fate. Black Triangle over West Yorkshire, UK [Feb 21] http://www.latest-ufo-sightings.net/2010/02/latest-ufo-sighting-triangle-ufo.html UFO sighting - Triangle UFO sighting supposedly recorded in Leeds - West Yorkshire, UK this Sunday - 21st February 2010 at 2:30 pm. [and from another] Columbia March 9, 2010 http://www.youtube.com/watch?v=e1Ptkky2OnE [and from another] China February 28, 2010 http://www.youtube.com/watch?v=MmK8AEmI7cQ&feature=video_response [and from another] Another Flying UFO Pyramid - Over China [Mar 10] http://www.thegreatnetwork.com/video/another-flying-ufo-pyramid On January 28 at 8.40 am multiple witnesses saw a giant pyramid shaped UFO briefly hover above the city of Xi'an. The UFO was seen for no more than two minutes and one witness, Mr Yu managed to film around 15 seconds of footage of this historic event. Mr Yu described the UFO as being covered in uneven patterns and shapes as well as having glowing purple light coming out of its underside. Another smaller UFO was seen at one stage move in the vicinity of the larger craft. Both UFOs were seen by more than one witness despite their brief appearance. What is characteristic about the holographic triangle UFOs captured on video lately is that the locations are inland, on land at the edge of where the rising sea level will force survivors to scramble in the Aftertime. Survivors will be forced to move, repeatedly, as the sea level steadily rises, so at the edge of where this rising water ends is where a crowd will locate. This crowd is likely to be angry, exhausted, discouraged, and certainly starving. This was the telepathic message being given to those below. In the past few months, millions of Toyota vehicles have been recalled due to purported mechanical defects that have caused dozens of automobile accidents, some of them fatal. I am wondering if the problems are at least partially electronic instead of mechanical and if the charged tail of Planet X could be to blame. Last summer, the Zetas attributed the Disney monorail and D.C. metro crashes to electromagnetic misfirings triggered by Planet X. A related question -- with cars becoming increasingly dependent on electronics and computer software instead of on mechanical parts, are there likely to be more unexplained and/or deadly car malfunctions as Planet X draws nearer? A periodic malfunction due to electromagnetic pulse would not cause a mass recall, though some of the incidents were due to external electromagnetic interference. As with all devices dependent upon a steady electrical or magnetic environment, cars as well as planes and trains will continue to malfunction, increasingly. There is no predicting what area, or what timeframe, such malfunction will strike. Are the zetas able to comment on the impact a 200-300 foot tsunami will have on the UK and European Populations and the world at large. To my knowledge there are no tsunami warning systems in place, so no warnings would be made and therefore an event of this magnitude would cause huge devastation and a massive loss of life - something these countries are not used to like some earthquake prone zones are. It sounds as if this could really be the event that makes the entire world take notice and question what on earth is going on, especially if it occurs simultaneously with the New Madrid adjustment? You are asking for more information on how to predict such a tsunami, which we cannot provide. It is Nancy's speculation on her recent video that a widening Atlantic would accompany or follow a New Madrid adjustment, which is a logical assumption. However, we, the Zetas, are not commenting upon that. It is likewise true that a tsunami rising from a suddenly widening Atlantic would not be something perceived, as adjustments in the stretch zone are silent, and no earthquake monitors would alert mankind of this adjustment. Thus, except for ships at sea sounding the alarm, it would descend upon Europe, a devastation indeed. The Public Option has risen to a new level with many people wanting it added to the Health Care Reform bill which is currently on a fast track. Harry Reid, who announced the possibility the Public Option would be added to the bill suddenly has a wife and daughter struck on the interstate by a semi truck. Both had nasty injuries. Was this a message to Harry Reid about Health Care reform? If this was an opportune "accident", which faction ordered the deed, Republicans, CIA, Health industry, drug industry, etc? And was the motive strictly health care or "behaving" in general with corporate legislation? [and from another] Chain-Reaction Crash Injured Senate Majority Leader Harry Reid's Wife, Daughter [Mar 14] http://www.justicenewsflash.com/2010/03/14/ According to Virginia State Police (VSP) officials, 69-year-old Landra Reid and her daughter, 49-year-old Lana Barringer, were traveling north on I-95 in a Honda Odyssey minivan when their vehicle was rear-ended by a northbound big rig. You are correct that the Reid family accident was not strictly an accident, but it also was not carried off as planned. It was aborted, allowed to proceed to a certain extent, but aborted because of interference by those monitoring the situation. This was not an interference by benign aliens, but by humans aware of the vicious nature of corporate determination in this matter. As such, it has backfired, as now they have Reid really mad. The Zetas regularly denounce the organized religions on Earth, disparaging their rigid doctrines, their power-hungry elite interested only in filling church coffers, their persecution and slaughter of millions of people, and their sexual perversions. Yet, some church endeavors, such as reaching out to poor and disadvantaged populations, truly seem to have Service-to-Others motivations, Mother Teresa being an outstanding example. My question -- on balance over the centuries, has organized religion been more of a positive force or a negative force on Earth? I'm wondering if any of the top political leadership of the US : Barack Obama or the Vice President or Nancy Pelosi have had conscious contact. You are in essence asking if any of these were MJ12 members. We consider this an invasion of their privacy and decline to answer. Any comment from the zetas on the following events from this past week? Rock slide in colorado? Rock slides are a fact of life on mountainous roads, but the increase is due to the bow pulling the N American continent, pulling the Aleutian Islands toward the tip of Mexico. Pink snow is due to an algae that can tolerate cold. I've seen some threads about Nibriu being observed and this in regular scientic journals and this time talking about a bombarment of comets into our solar system due a mass of an object with a mass 5 times of Jupiter. Some of this stuff sounds a lot like what you have been saying. Notice any of this? Because the discussions regarding objects visible near the Sun on SOHO and the Stereo images have gone viral on the Internet, and because NASA et al feel they cannot simply close these public services down without it being obvious that a cover-up is in place, they are bracing for an announcement about Planet X to be made from some source or another. Distraction, on a mass level, is a time-honored technique for deflecting unwanted attention. NASA and those involved in the cover-up over the presence of Planet X hope to flood the press with articles that attach their name in a positive way to the search for such a planet, so that search engines bring up this material alongside any negative articles to be forthcoming. So what are they braced for? A leak, from some official source, admitting that a presence is near the Sun and causing havoc on Earth. Some kind of mass revolt in the public where their words are totally discarded, their credibility in a heap, and talking heads simply taking off with the new information without them present to tout the cover-up lines. They simply do not know what is next in store, what is likely to be seen in the skies or revealed. How does Nancy feel about the possibility of an admission, either by the establishment or the media or by a block of the public? Wishing that she were younger and had more energy, and that her spring house cleaning were behind rather than ahead of her. The totality of evidence for PX and its proximity right now is overwhelming. The biggest gap I find is in the fact that on its approach in the southern hemisphere, when we are seasonally on one side of the Sun, it would be incredibly evident for 30 or 50 years as a bigger and bigger planet. (When we were on one side of the Sun in our seasonal rotation, its approach would not be behind the Sun in our view, from the Southern hemisphere.) Can you comment? I have to present this whole thing to my family, and wish to have some preparation for this huge factual gap, if they notice. Planet X is four times the diameter of Earth or Venus, and at present is approximately the distance away that Venus is. You consider Venus to be your morning or evening star, and Planet X is so shrouded by dust that during the day, which is the only time it is visible to you, it looks like a dim fuzz ball or reflects sunlight to be a Second Sun. All this is well documented in the Photos section on the ZetaTalk website, where tracking it in the night sky prior to 2003 is documented, and photos since they are likewise documented. This past year, of course, its presence next to the Sun has been remarkably well established by videos and SOHO imagery, as Nancy has documented on her newsletters archives.The information you seek is also in the Science section of ZetaTalk where the sling orbit of Planet X and the speed with which it zooms into the solar system during a passage is detailed. Why NASA said that after the 8.8 EQ days are shorter and not longer? But they supose to say the oposite! don't they? What will be their excuse when the slowing will be more obvious? In both instances, the 9.5 quake in Sumatra in 2004 and the supposed 8.8 in Chile in 2010, NASA asserted that the rotation of the Earth had sped up a tad, rather than slowed. They did this to avoid being accused of trying to explain a slowing process. Their goal was to insert into the public mind the fact that earthquakes can affect rotation speed, so that when rotation slowing starts, they can point to all the earthquakes and confuse everyone. My question is about chemtrail planes. I have noticed along with others that sometimes these planes appear out of nowhere and leave long or series of off/on chemtrails and then the planes seem to disappear. Are some of these planes actually UFO's? This is man's operation, done by the wealthy to fog up the skies so that any evidence of Planet X cannot be seen. They fear the reaction of the public when they realize catastrophe is around the corner, and that they have not been told the truth, have not been warned. I know that cooler weather is predicted for the northern hemisphere until the shift, but my question relates to rain events -- will we see storms continue to materialize and cross over the same latitudes as we saw the snow storms do this winter? As we have stated whenever the weather is the subject - we have predicted that the seasons will blend into one another, and that extreme weather will steadily increase. Don't expect this to get better, as that is not the trend. When we want to help somebody we can give a Call, e.g. pray. What will be in a case we pray for an already dead person? It is better to say we pray for a soul of a dead person I think, for a soul to "feel better in the next life" as some religions say. And so the specifying Q is - does it matter for a character and a result of a Call whether we pray for an alive creature here, on the Earth, or for its soul when it will be reincarnated on another planet after its physical body die here ? As long as your Call is out of love for another, it has a positive impact. After reading the article "Apparent Precision" I want to ask you - do you plan to slow PX's motion to wait for mankind to be better prepared (socially, politically, spiritually etc.) for the PS? We have been asked this question before, as to whether the progress Planet X makes is under control, slowed or sped up. Our prior answer was that the passage is a natural occurrence, and not artificially controlled. We have been told that this is the last time that PX will damage the earth. Why? What happens to PX that it won't come back? Recently I read such criticism against possibility of pole shifts: "The synchronization of rotation round one's axis for the Earth and the Moon (that is why we see only one of its side) was taking place for a long time and only in a case orbits of the Earth around the Sun and of the Moon around the Earth were stable and endured no changes." What can Zetas reply as to this statement? Such statements are impossibly naïve and represent the same kind of thinking that had mankind committed to the Flat Earth theory for ages - stubborn and narrow minded. Since earth is still in 3D mode, how does it appear to alien visitors who are in 4D or higher? Is there a version of it in each density or just 3rd? You, in your 3rd density existence, see a 4th density version in such places as the Bermuda Triangle, where ships or barges disappear temporarily and then reappear. No change in form occurs. The zetas have stated that a hidden location is the best way to avoid STS gangs in the aftertime and that STO groups will be assisted. Obviously this will vary somewhat and I completely understand if you can't provide guidance on this, however is there any rough guide on how long it will take STS gangs to die out, so mixed groups/headed towards STO groups will know when they can let their guard down to some extent or will there always be a potential danger from STS and a need to guide camp? We have stated that by our estimation the Earth will be reincarnated 89% by STO entities, with the remaining 11% mostly undecideds. You are correct that is it impossible to give you a time frame, as it varies immensely by location. A friend of mine brought to my attention that Wilhelm Reich's "orgone" generator produced UFOs (lights only, I assume) when switched to human-soul "destroying" settings, and never when on "positive" settings. He thus believes all aliens to be demonic. I do not, but could you comment on why Reich had this negative-UFO-light success in this way? This was a theory only, and incorrect. Lights appear, and this mean this or that, because he said so? Absurd, on its face. There is no such action as "soul destroying". On Zeta Talk, there is a link to a Pole Shift Blog. Several posters to the blog apparently believe that their city will not be damaged during the pole shift based on a "Marian apparition" in which their towns immunity was communicated. What do the Zetas believe is the true nature of "Marian apparitions", and do the Zetas believe any town or city should believe that any sort of "divine" intervention will spare them from the normal course of nature during the shift? This question is averse the rule that statements made by others will not be addressed as true or untrue by ourselves, unless the others have a prediction accuracy track record, and non such exists in this case. What any given member of a message board wishes to believe is their choice. Would the Zetas be willing to lay down their life to help others? Would they die to save mankind from wrath? We, the Service-to-Other Zetas, do not operate as a group as you imply. Depending upon the circumstances, most Service-to-Other entities have sacrificed themselves for others, so this is not unusual. Your second question has a religious overtone. What wrath would mankind be facing? Obviously, if one is concerned about mankind, fighting the supposed "wrath" would be the preferred approach, and if this "wrath" is fictional and an attempt to intimidate mankind, then empowering mankind with this information would be the first step. I am aware of the trimester predictions and your refusal to say more than that. So, without asking which trimester in future this event will occur, I ask only there at least just enough time for us newbies to prepare maybe? This is I hope oblique enough for you not to "give away" the dates. There will always be newbies, even during the last weeks. The date cannot be known, and until the last weeks unfold, there is no certainly of the pole shift date. The Westboro church protest dead soldiers because they feel their deaths are the result of our country tolerating homosexuals. They're trying to make the connection. Are they a real church or do they work for our government, possibly attempting to smear real churches by their antics? The government is not employing individuals to attack the concept of homosexuality. Many ultra-right individuals do take such a stance however, and using a church as a front for rigid beliefs is not new. Zetas told that liberalism is STO ideology but some liberal theorists preached theories of rational egoism. They believed that this position is way to progress. Obviously, general statements that liberals are in the main more concerned about the welfare of others, and those that call themselves conservatives are stingy and more concerned about themselves, cannot be construed to address every single nuance of either philosophy. How can contactees who are still in the denial/confusion stage gain clarity about who they may actually be. How can you tell if you're just obsessed or an actual contactee. Having no apparent memory makes it feel like a sliver. Only you, as a contactee, know the truth. Thus we advise that those who wonder seek the truth within themselves! I was in a mall today and saw that free H1N1 vaccines were being offered. I was so surprised because the regular vaccines usually cost at least $20 and you have to book an appointment with a primary physician or go to the department of health. What's up with the free vaccines? The anticipated demand did not materialize, and now there is a glut. Those in possession of vaccine they fear will not be useable in the future are trying to get a big public relations boost from dispensing it for free. Did you catch the posts by the Boeing employee this week? Saying there is something coming into the galaxy to cause a mess pretty soon. http://apod.nasa.gov/apod/ap100203.html [and from another] Was the Boeing employee that spilled the beans this week about an incoming something hints to what's coming? He was more worried about all electrical systems going down on Earth which would send us back to the 1880s. How could that interact with a solar flare event? Think of the distance this photo comes from. All that stuff behind the artifact isn't necessarily 'dust' [and from another] Was the Boeing employee who posted on GLP pretty correct in his observations this week? He really thought a solar flare from the Sun will knock out all electrical devices on the Earth. 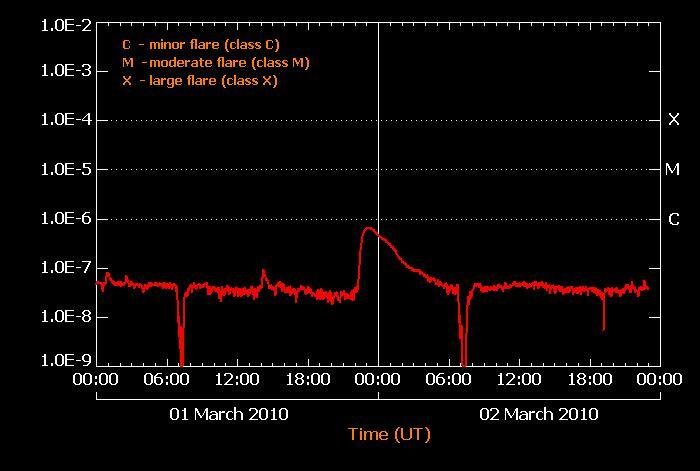 The flare being caused by something coming into the solar system. If you want to know what is correct, read ZetaTalk. Sorting through what another says, to correct this or confirm that, is not a good use of our or Nancy's time. Planet X is in the inner solar system, not something coming into the galaxy. The charged tail of Planet X causes electromagnetic disturbances, as is known and well documented recently. In 2003, during the last time the tail directly wafted to Earth, there were blackouts aplenty. It is not the Sun causing this, as NASA might assert in their desperation to maintain the cover-up. Can you briefly outline what the most technologically advanced civilizations in the universe are capable of? My own information tells me they have mastered the use of energy, not just as a power source but fundamentally at the level of existence itself. so, basically, they can have or do anything they desire simply by desiring it. I would really appreciate a Zetan response to this, as they are much better informed than any human on the matter. The concept that entities, souls, advanced or otherwise, can alter their physical reality by wishes is entertaining but absolutely false. Physical incarnations are a learning environment, and would not be such if anything distressing could just be wished away. Such theories and desire are for the immature and cowardly. I have a question about densities. A while ago things started looking different to me. More clear more real the sunshine looked different. I thought something was wrong with me even went to a doctor. Is this changing of densities? No. The Sun has appeared more white than yellow, as many have observed, and since 2003 a sunburn occurred more readily, but this is due to the dust cloud that Planet X brought into the inner solar system, reflecting light. No density change has occurred. Do the Zeta STO have a different color light on their craft to the other worldly craft that are flying? How can you tell which craft belongs to whom? Is there an obvious color of light that can be seen at night by the Zetas STO? Those in the Service-to-Self are not allowed to dance in your skies, so all UFO displays are done by those in the Service-to-Other. Zetas say that after a pole-shift ocean level will rise up to 200-300 feet in two years because of melting ice. But if old pole's ice will melt for two years, aren't same amount of water will froze at the new poles? We have stated that within two years of the pole shift, that the oceans will rise to approximately 675 feet above today's level. There is some variance in this, as some parts of the globe are anticipate to rise, and others fall, as is detailed in the Safe Location documentation. While the poles and glaciers melt, and then reform, the melting process proceeds rapidly while it takes hundreds of years for the poles to reform. Is Nibiru (Planet X) still populated by giant hominoids, as was said to be the case the last time it crossed through our section of the solar system? The Annunaki reside on Planet X, and will for some time. Where they are considered peers of mankind, they have a decided negative bent, as they were influenced unduly by aliens in the Service-to-Self in the past. Thus, they are not participating in the Transformation as mankind is at this time, and will remain in 3rd density after the Earth switch to 4th density. During the passage of PX will the entire earth experience at least factor 9 eartquakes? [and from another] Zetas say there will be 9M EQ's all around the world at the time of poleshift - around means everythere or just in places where EQ's are usual now. For example can we expect 9M EQ in Kiev, Ukraine (this place is on stable old plate) or will such EQ's be in Romania, Crimea, Poland? We have described the earthquakes as being Richter 15, due to the scope of the quakes which are worldwide. Richter, or magnitude, is calculated not only by the strength of the jolt but by the area affected. However, in practical terms, the magnitude will be equivalent for any given area to a magnitude 9. The whole world, of course, participates, as how would it not? Why would TPTB prefer for us to think the Sun will cause our demise over Planet X? Why is one worse than another in their eyes? Murmuring that the upcoming solar maximum may be a doozy, with lots of solar flares, has been a cover-up approach from the start, as NASA is never required to provide the data upon which they base this prediction. Now that this solar cycle has been phenomenally quiet, this excuse has been taken from them, but they still assert the likelihood of a violent Sun, and even try to associate earthquakes with solar activity. 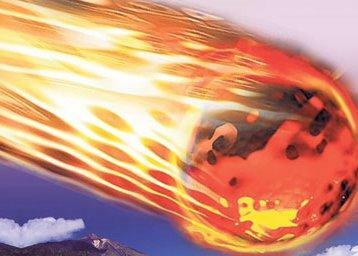 All this is preferable to giving credence to the Planet X theory, as if they were to acknowledge that Planet X could or is a reality, then people would begin looking to the skies. As the chemtrail activity shows, this is the last thing the establishment wants you to do. Once solid evidence of Planet X in the inner solar system is available to the common man, all those who participated in the coverup are dead meat, or so they think. But if the common man buys their explanations, that the Sun somehow will become violent, then this is presumably out of their control and they will not be blamed. After all, they were trying to warn mankind, is the logic, or so they hope.